For many years the F.I.A. company has been a dependable and imaginative partner for customers in the meat processing and delicatessen industries. We take on any issues or tasks you are faced with and help you solve them. 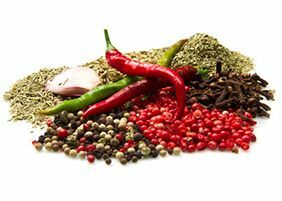 Our spice blends are characterised by rounded and balanced flavour. Technological issues such as binding, retaining freshness, emulsification or optimising the taste of meat products are equally important to us. Our promise / Exclusivity for your product! We will produce your exclusive mixture as per your order in our modern production plant. This will be packed and labelled to your specifications in the relevant batch size. We are certified according to the International Food Standard (IFS), Higher Level and ISO 22000 as well as RSPO and also meet the EU organic regulation: EU-ECO-005. Furthermore, the F.I.A. has been granted two EU approvals; DE BY 142 EU pursuant to the milk regulation and DE BY-EUZ 107 EU pursuant to the meat hygiene regulation. In addition, regular audits by our customers confirm that we meet our own high standards of quality and food safety. Read more … Natriumreduziert genießen - aber mit Genuss!